In the War of 1812, U.S. troops are battling the British on the Canadian border even as a fierce fight is waged against the Creek followers of the Indian leader Tecumseh and his brother, known as The Prophet. In Europe, Napoleon Bonaparte's war has become a losing proposition, and the British are only months away from unleashing a frightening assault on Washington itself. Fateful choices are being made in the corridors of power and on the American frontier. What if--at this critical moment--bonds were forged between a united Indian nation, escaping slaves, freed men of color, and even influential whites? 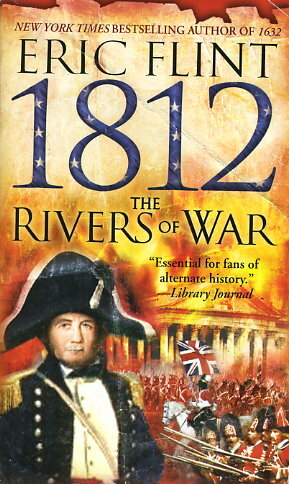 A dramatic saga and a remarkable adventure, 1812: The Rivers of War carries us in a new direction, brilliantly transforming an extraordinary chapter of American history.